Nigerian singer, Esegine Allen, more popularly known as Orezi is one artiste who uses controversy as a leverage to create attention for his music. 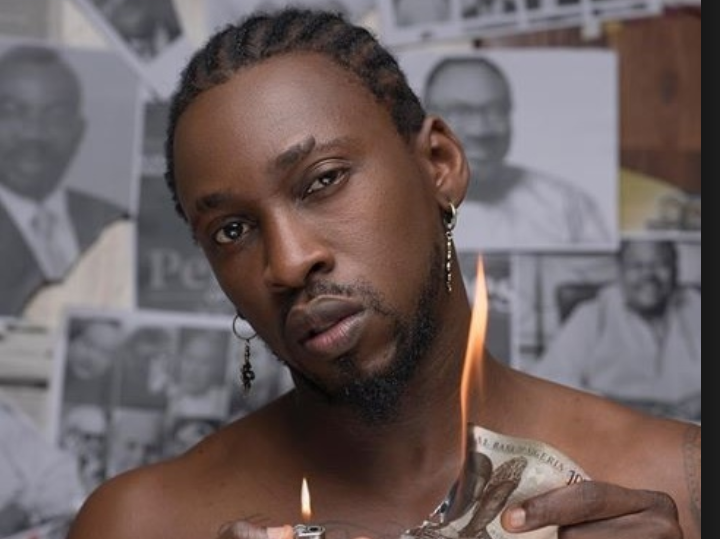 On Thursday, the singer posted a photo of himself burning a one thousand Naira note. Nigerians have however taken to their social media platforms to condemn the act. The ‘Ijo Shoki’ crooner shared the photo as artwork to promote a new single of his on his verified Instagram handle . Nigerians however don’t see the connection between the song and the burnt naira note. official_my_creations_my_joy: But you shouldn’t do that even if it’s art. It means you are abusing our currency, just a suggestion though. diplawmatik: I know you are looking for free publicity But you no try on this one. Condemnation and distraction nah him you dey write letter to…so childish. I just pity you. bolanleakinkuade: Don’t burn naira no matter what….if you burn $100 in America you go to jail. chriskryse: I no understand again oh 👉👉shey Photoshop na crime for this country ni?… 9ja with their too much energy self!!! kvnsmcc: That’s an artistic paper, why are you all getting mad? elrapheeeq: Even if they have it and can do it, nobody online here has verified if it’s real or fake, but we should give them benefit of the doubt and be positive about it. People are so pessimistic that they won’t even look at the positives. Can somebody tell this “Mumushian” that CBN law stipulates that anybody caught mishandling naira notes would be jailed for five years with an option of N50,000 fine?